Sleuth Kings is a private detective agency run by Sullivan King, who took over the family business after his father Isaac’s disappearance in 2017. Since he’s been heavily engaged with investigating what has happened to his father, he’s needed to outsource some of the cases that come across his desk. That’s where you come in! Case 006’s summary is as follows: Eva Verde was on the cusp of having her dreams come true: she was hired as the director for the comedy-horror musical Smilin’ Jack. Everything was perfect until otherworldly threats spooked her cast into refusing to perform. Now, unless Sullivan can figure out what’s going on, Eva’s career will be over before it starts. Can you help Sullivan end the ghostly threats so that the show can go on? Inside of the Sleuth Kings box, there was a rolled up poster for the aforementioned play: Smilin’ Jack, and a file folder containing the rest of the materials for the case. There were quite a few interesting items included within, and the accompanying story was definitely well presented through these authentic-feeling props! Evidence and related items from Smilin’ Jack! Sleuth Kings masterfully wove together the puzzles and an evolving storyline with style. The introduction provided a clear starting point, but allowed us to explore the evidence at our own pace, should we so desire. A great addition that allowed us to adjust the difficulty of our experience was a separate note with Sullivan’s preliminary thoughts about the case and analysis of each clue. We could disregard this note for a more challenging experience, or refer to it in order to simplify the case somewhat. We decided to use this as a hint sheet when we got stuck, giving us a nice mix of challenge, but not leaving us high and dry when we needed a nudge. Speaking of the hint system, throughout the case, you’ll be in contact with Sullivan via email, adding greatly to the immersion and can contact him for help working out a puzzle at any time. No ordinary chatbot, Sullivan’s emails felt very genuine and added to the experience overall. Puzzles were an appropriate test of our skills, without feeling overly convoluted or obscure, and each section brought us a step further toward discovering the culprit! One interaction in particular was extremely original, providing a fun solution that we certainly did not expect. Another fantastic addition to the immersion was once we had completed the case and let Sullivan know who or what was behind the threats, we were told he’d be in touch regarding a thank you from Eva soon. This epilogue was delivered via US Mail, and contained a satisfying conclusion as well as another surprise, a new puzzle that tied into the metanarrative regarding Sullivan’s father! Although the interaction with Sullivan was an excellent touch, adding to the experience greatly, there were points where we were waiting for him to get back to us while we had nothing further to investigate. Though it afforded us plenty of time to stock up on snacks, it did bring the experience to a halt a few times. It’s a minor gripe, though, and what it adds to the adventure is definitely worth it. We also found that for one puzzle that we had an extremely hard time with, once the first hint is given by Sullivan, you’re given the option to let him know that you’re lost. We figured this would contain a more directed hint, but unfortunately we were told that he’d figured it out, and we were just given the answer. 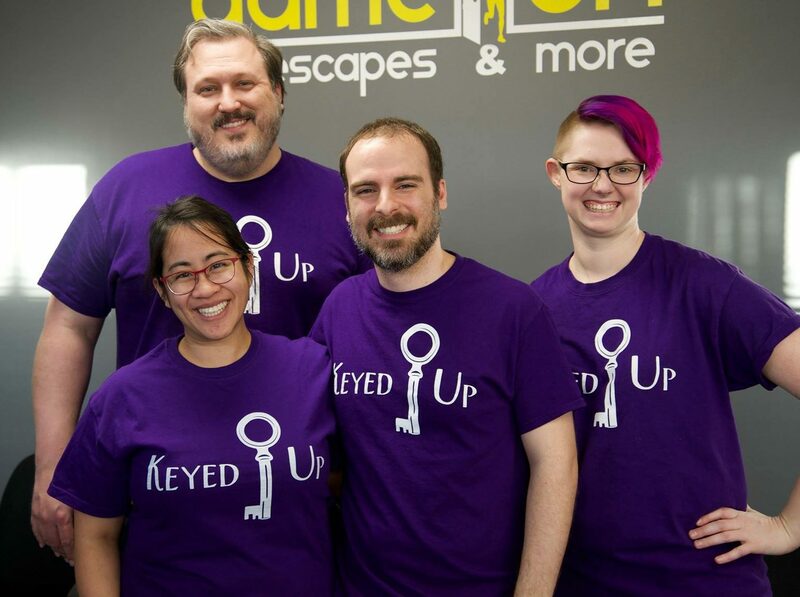 It would’ve been nice to know that we’d be giving up on the puzzle when we emailed back, but we were almost to that point anyway, so it wasn’t too much of a worry. The only other thing was that while we enjoyed the epilogue, since it is spaced out we didn’t feel like the climax really took off as well as it could have. Again, these are minor things that are eclipsed by what they add to the experience. Sleuth Kings provides a top notch experience that provides a sense of immersion I’ve not seen matched by other subscription boxes so far. By allowing you to interact with the detective, and the terrific epilogue to the story, you really feel as though you are part of the Sleuth Kings world! I definitely recommend giving this one a shot if you’re a seasoned puzzler, since the difficulty is a bit higher than other experiences, but everyone can enjoy it due to a great multi-layered hint system! You can use the promo code ESCAPEADVENTURE to get $5 off your subscription here!